I've said it before and I'll likely say it again regarding this book - the stories that Geoff Johns alludes to interest me far more than the stories that he is telling. This is not to say that the story presented here is a bad one. Far from it. Indeed, the "credits" sequence early on in the issue, laid out in cinematic fashion, presents one of the finest examples of dialogue-free storytelling I've ever seen in a comic. The problem here is the same problem with have with so many of the New 52 books. With a five year gap between when superheroes first appeared and the present day, there are so many stories and characters that we know must exist in some fashion and yet we're starved for details about them. That's certainly the case in the second half of this issue, where a young Arthur Curry makes battle plans after being informed of the death of his mother, his royal heritage and his treacherous half-brother by an exiled Atlantean elder. We don't get to see the conflict that ends with Arthur becoming King of Atlantis as the story ends when Arthur first sees the land that will be his kingdom. And that's a shame because a civil war in Atlantis is far more interesting to me than the massive information dump that makes up the story of this issue, well-told though it is. 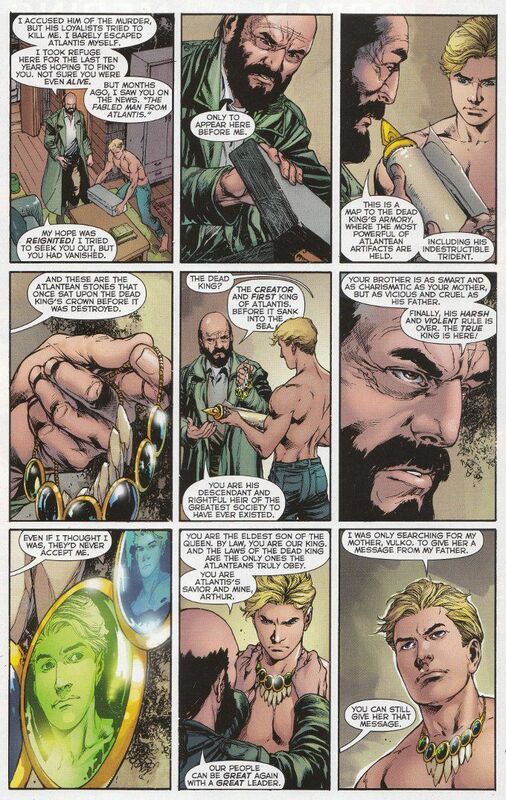 Whatever qualms I may have about this issue's lack of action, I have no such reservations about artist Ivan Reis. He's been a favorite of mine since he and Johns worked together on Green Lantern It's obvious the two are comfortable with each other as creative partners and the way they play off each others strengths has made this into one of DC Comics best new titles over the last year. 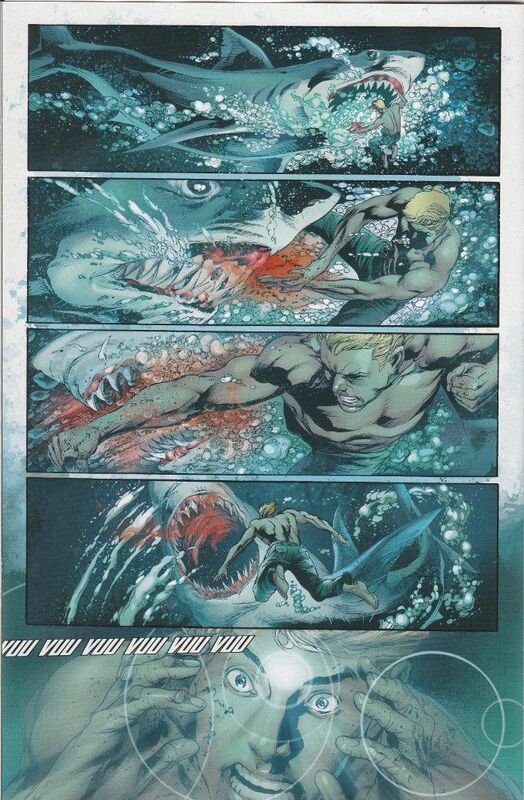 Bottom Line: If you haven't given Aquaman a chance, now's the perfect time to dive in.